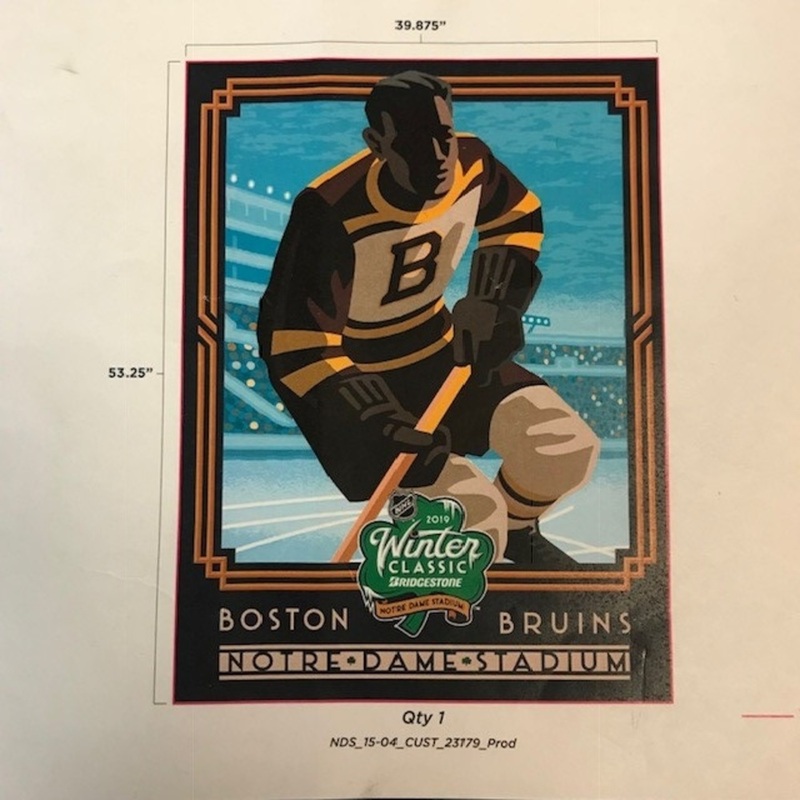 Bid now on 2019 NHL Winter Classic Boston Bruins Magnet. Magnet was designed to be hung in the Boston Bruins Locker room. The team kept the magnet that was used in the locker room, but this is an extra that was never used. Magnet is approx. 53.25" high and 39.875" across. *Please note - Magnet is rolled up and will need to be flattened before hanging.